Heather Leopard: Meet the New Lily Bee Design Creative Team! I'm just a few followers away from 600! I can't believe it! When I hit that magical number, I'm giving away a Scrapbook Circle kit. Read how you can win it at the end of this post! I'm soo thrilled to announce the new Lily Bee Design Creative team! Though I'm sad to be saying goodbye to the outgoing team members, I'm also super excited about this new team! And in case you hadn't heard, I have been chosen to lead this incredible team, along with the marketing aspects of Lily Bee (thank you, Kristen)!!! Wow, right? We'll be sharing our new projects on the Lily Bee Design blog starting next week. Make sure to follow Lily Bee on Facebook, Instagram, Twitter and Pinterest. We offer unique promos/giveaways, sneak peeks and more on each of these social platforms! You can also sign up for our e-newsletter, so you can be one of the first "In the Know", get the skinny on current challenges, tutorials, new products and more. Click HERE to sign up. Lastly, did you know that Lily Bee posts challenges for you every Tuesday? We'd love to have you play along with us each month! Oh, don't forget about my 600 follower Scrapbook Circle kit giveaway. Read how you can win it HERE! WOW!! What an amazing team you have assembled! Looking forward to seeing their creativity with Lily Bee! Congratulations Heather!! So happy for you...Looks like a fun group! Congrats to you!! 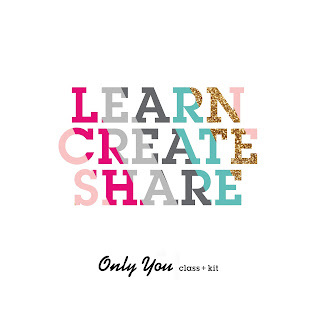 I love Lily Bee products and I know you're going to have a blast designing with them! Yea! This is an amazing team of scrapbookers! Congrats! Super exciting Heather!! You have really done well and it could be to a better person! SO exciting! !